We hold expertise in manufacturing and supplying premium quality floor cushion cover. 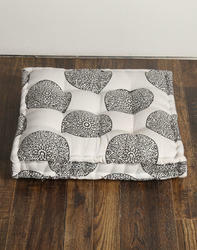 Create a comfortable seating space with this quilted floor cushion cover. 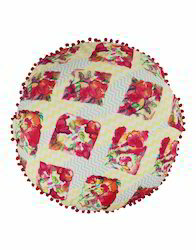 The embroidered floral pattern make this large floor cushion cover an attractive accessory. Use it in the kid's room or the living room for a relaxed seating on the floor. We are offering our customers an excellent quality range of floor cushion cover. Wholesale indian cotton round pillow. We are engaged in manufacturing and exporting wide range of all type of air pillow. 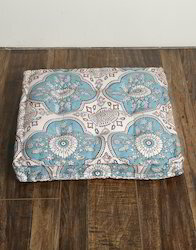 Our products include such as fabric hand block printed floor cushion cover. Give life to your living room with this Printed cushion cover. The thick cotton canvas is for the long life and durability of the cover.The hand block printed floral patterns adds vibrancy to your room decor. It is generously filled and structured for the additional seating that is manageable when you have lots of guests over. We are offering our customers an excellent quality range of Wholesale indian cotton Printed cushion cover. 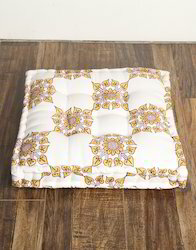 We are engaged in manufacturing and exporting wide range of all type of Floor Cushion. 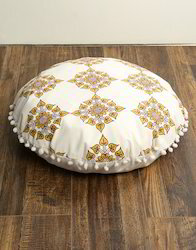 Our products include such as fabric hand block printed floor cushion. We are offering our customers an excellent quality range of cotton cushion cover. we are engaged in manufacturing and exporting wide range of All Type of Cushion Covers. The cushion has been provided with a zipper to ensure easy usability. 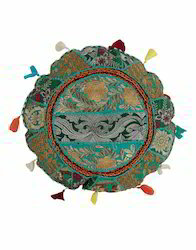 We are offering our customers an excellent quality range of Round Cushion Cover. 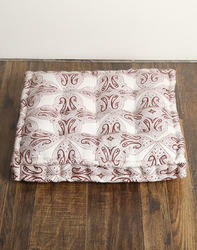 Wholesale Indian Cotton Block Print Floor Cushion Cover. we are engaged in manufacturing and exporting wide range of All Type of Cushion. 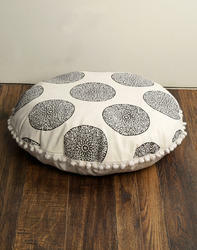 Our products include such as Fabric Hand Block Printed Floor Cushion Cover. Give life to your living room with this throw pillow. The thick cotton canvas is for the long life and durability of the cover.The hand block printed floral patterns adds vibrancy to your room decor. It is generously filled and structured for the additional seating that is manageable when you have lots of guests over.